Stocking your fridges full of fruit is not only delicious but it’s also quite expensive. 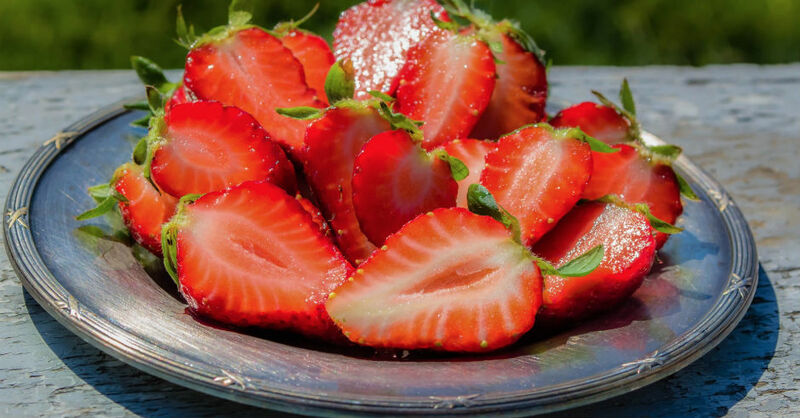 Strawberries are one of our favorites to keep stocked all year round. They are packed with healthy vitamins, antioxidants, and other nutrients. There have also been studies shown that say this fruit helps brain function, lowers blood pressure, and helps arthritis. However, one problem we all have seen with fruit is how fast it goes bad. Considering how hard we work for our money, it’s painful to watch expensive strawberries go bad. Thankfully, we’ve stumbled upon a quick trick from a farmer that will make your strawberries last weeks in your fridge. 1. Pour 1 part white vinegar and 5 parts of water into a container. 2. Place your strawberries int he mixture for 5 minutes. 3. Rinse and dry your berries thoroughly. It’s important you remove all moisture possible. 4. Lastly, place them on top of a paper towel and into your fridge. These strawberries will not have any taste of vinegar and will last up to two weeks in your fridge. So next time there’s a deal on strawberries buy as many as you’d like.